“Compete in Tournaments from your Home Clan!" The May CWL Tournament is now open for sign ups! Tournament Link: https://www.clashchamps.com/wp/leaderboard/?myKey=s%3A3%3A”135″%3B Payouts: 1st Place Receives 800 Champ Bucks! 2nd Place Receives 300 Champ Bucks! 3rd Place Receives 100 Champ Bucks! NEVER BE CLANLESS AGAIN! New Recruiting Tool Part 2! Congrats to our March Clan Boost Winners! Want to be a Clash Champ? Sign up and COMPETE FROM YOUR OWN CLAN! IT’S FREE! Woohoo! Almost there! Now pick a Tournament that’s right for you! Want to host your own Private Tournament? We’ve got you covered! 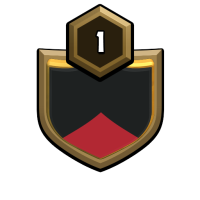 Mention the passphrase “CLASH CHAMPS” when you join any one of our Recruiting Clans. Want to sign yours up? No problem, register them below! We are a war clan. You must use both attacks in war or you will get the boot. Activity is expected as well as donations. Join the legion - or youll be doomed. Clash on! If you like back to back wars this is the clan for you. We do constant wars and donate max troops. Feel free to join. But our number one rule is: No rushed players. Clash Champs is the Premier Tournament League for Clash of Clans War Champions. Clash Champs elevates Clash of Clans to a whole new level by hosting Tournaments utilizing Player’s War results. Clash Champs uses an advanced formula that auto adjusts a Player’s score based upon the weight of a target and their own weight. Clash Champs strives to be the best and are always improving its Tournaments and formulas in order to seek out the best Clash Champs. Check out our recent Tournament Winners!